Few people make tuna tartare at home, intimidated by the idea of it. Though I'm not entirely sure why, as it's one of the easiest recipes ever! Using a very sharp knife, dice the tuna into 1/4 inch cubes. Place the diced tuna into a bowl. Add in the soy sauce, sesame oil & sesame seeds. Mix to combine. Taste and adjust the seasoning accordingly. Blitz together the avocado flesh, lime juice, leaves from a small coriander bunch and a good pinch of sea salt. 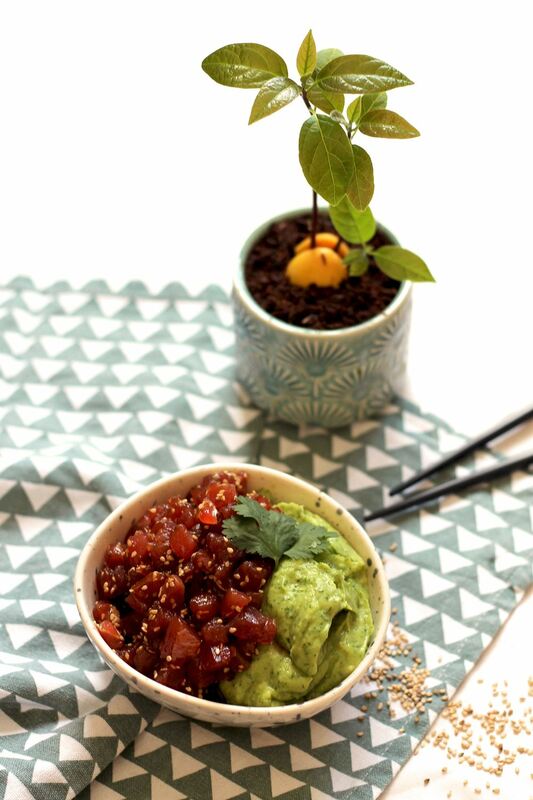 Place the avocado puree & tuna tartare together onto a dish and serve immediately, either Spanish style (with forks) or Mexican style (with tortilla chips).